Dedicated to inspire with the Mystery Teachings of the Ascending Angels to bring joy, clarity and peace to all whom they meet. 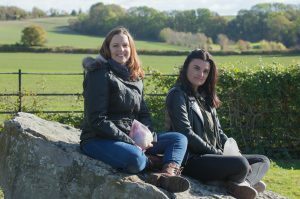 Caroline and Marisa of Ascending Angels are a beautiful channel of divine empowerment and inspiration through their teachings, treatments and meditation transmissions. Offering a wide variety of enlightening, cleansing experiences. Ascending Angels bring empowering light energies to unlock codes of wisdom and clarity from within thus creating a clearer, happier, more harmoniously balanced self. Created in 2000 by Caroline Sharp and Donna Swan, who together brought the Ascending Angels Healing experience with guided transmissions and workshops from the Ascended Masters, Archangels and many other divine light energies. 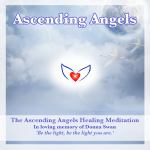 In 2018 Donna Swan transitioned from the physical realm to a new spiritual dimension. Caroline continues to lead Ascending Angels with Marisa Bailey, who has been an integral part of the Ascending Angels team since 2009. Caroline Sharp is an experienced, highly respected and internationally known for her multi-dimensional Mystery Teachings of the Ascending Angels. Caroline is also an Earth Light Reiki Master and Teacher of Reiki, Angelic and Ascension Healing and various modalities of Energy Healing. Maris Bailey is an experienced Hypnotherapist and Hypnobirthing Pregnancy Coach, she is well respected and known for her sacred geometry energy work and is an established Earth Light Reiki Master and Teacher. Providing a safe, healing space to encourage you to relax, unwind and awaken an inner sense of calm and peace. ​Together with the divine healing energies and an empathic, open, non-judgmental positive approach which allows you the space to explore your inner self to find resolution, heal emotional pain and bring a new harmony, a new balanced you. Through their energy skills, intuition and mindfulness techniques you are supported in resolving issues, releasing old patterns of behaviour and exploring your dreams to find a clear path to making these a reality. Described as the ‘Healer for the Healers’ Caroline has been a channel for multi-dimensional mystery teachings, as well as Angelic Light Healing, Earth Light Reiki and other powerful healing modalities for many years. Having trained with Caroline and Donna, Marisa is now an established teacher of Angelic Light and Earth Light Reiki Healing as well as the powerful energies that she brings forth. Caroline and Marisa bring a clarity to their teaching which empowers and inspires students to unweave old patterns of disharmony as well as to explore and enhance their own natural energy and healing abilities. ​Ascending Angels online courses and transmissions are a divinely guided and her channelled work has transformed lives across the globe. Guided meditation albums are also available on all major webplayers (iTunes etc.) under the label Ascending Angels. Please sign up to our newsletter or follow us on Facebook to hear about our latest creations, courses and workshops. ‘Mum to Be’ Healing Treatments aid fertility and support the journey from conception to delivery of your newborn baby. 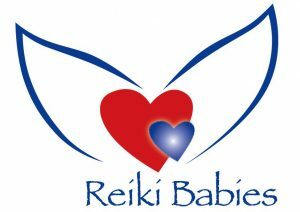 Reiki Babies also offers Reiki training for pregnant mums and their birthing partners to support them during pregnancy, labour and those early days and months after baby has arrived. ​Postnatal healing supports Mum through the early weeks and months providing a caring, calm space for you to rest, relax and heal. Rebalancing your hormones, harmonise your body, recharge your energy and aid your physical body in its recovery. For more information please visit www.reikibabies.co.uk.